I am a big fan of soup. It is wonderful on a cold day, and simmering it for hours on the stove heats the kitchen, too. 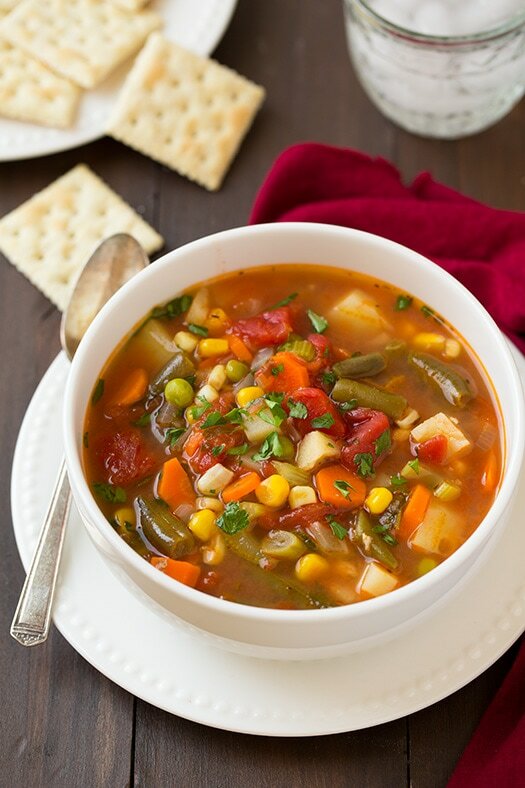 Making vegetable soup is easy if you have leftover or surplus vegetables. I make mine tomato juice based due to a vegetarian in the family, but beef or chicken broth is also good. I don’t follow a recipe and it’s always good. Hot toasted cheese sandwiches or even cheese and crackers are great served with this soup. I have plenty of pecans left over from Christmas baking, so I might make a pecan pie.